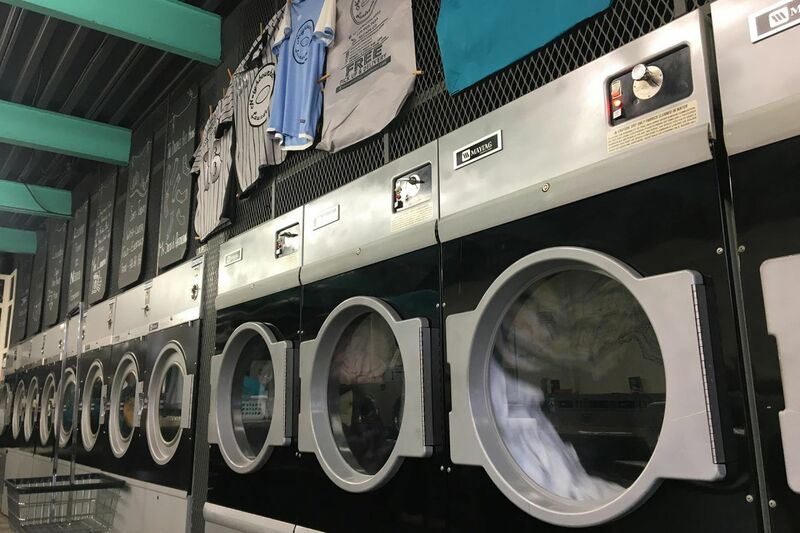 Providing a unique and funky laundry experience like no other! Are you one of many Londoners settling for an average Laundromat or Dry Cleaning Service? We bring you Neighbourhood Laundromat & Café. Not only a FREE Pick Up and Drop Off Service but also a Café with local coffee and fresh meals made throughout the day. #yourlaundromat & Café maintains superior cleanliness and customer satisfaction every single visit. Come by and enjoy local drinks and homemade healthy meals while exploring our variety of huge murals on site! partnering with V Food Spot that serves delicious healthy choices of vegan food and is one of the leads in the pastry/baking community of The Forest City.